Kyle and Eric Vander Linden run W&N Development, a family-owned and managed concrete construction contractor business based in Dupont, WA. Their finishing crews are kept busy, often juggling five to six jobs at a time. “Our bread and butter is apartment buildings,” observes Kyle. “We also do a lot of military work.” Some weeks the brothers estimate they’ll pour about a thousand yards of concrete. With so much work coming in the door and owner requirements ever-more demanding for slab quality, W&N Development doesn’t have time for project delays and quality control worries. 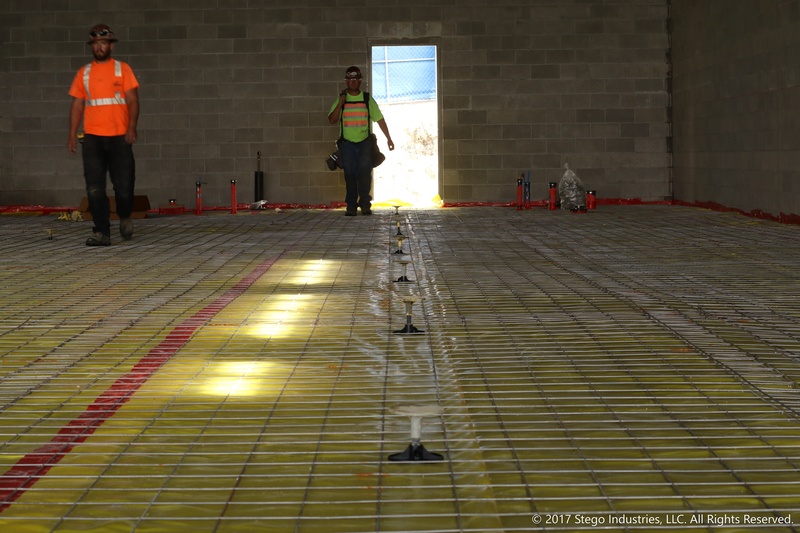 W&N Development needed a fast, simple, and reliable way to improve floor levelness and avoid concrete trucks stacking up. The brothers were frustrated by other “so called” puncture-free, elevation-control methods used to comply with ASTM E1643 Sections 7.2 and 7. 3 for slab-on-grade pours. “The cow patty method isn’t a horrible system. Just very time-consuming,” says Kyle. Two years ago the Vander Linden brothers attended the World of Concrete trade show. 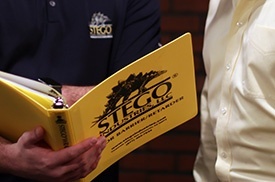 There, they discovered the Beast Screed System by Stego Industries, the manufacturers of Stego Wrap, the most widely specified vapor barrier in North America. The vapor barrier-safe Beast Screed System appeared to check all the boxes. 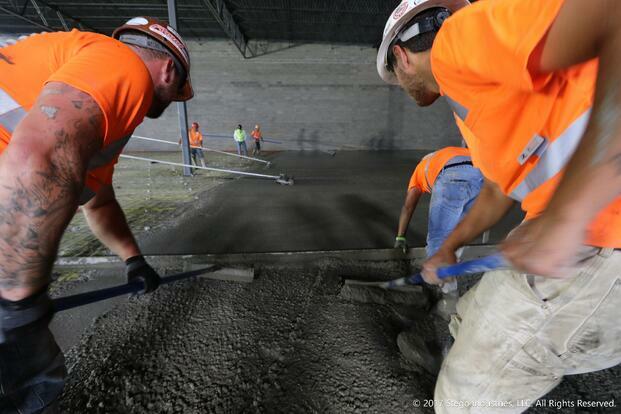 They finally had an efficient screed system without the hassle of unpredictable cow patties. But would the system deliver as promised? "We started a big job on the Ft. Lewis Army post. We said to hell with the risk. Let’s run with the Beast Screed System. The Army liked it. 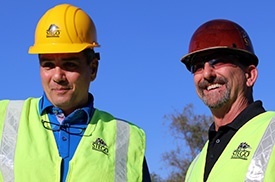 So did RQ Construction, a leading GC specializing in military construction projects. 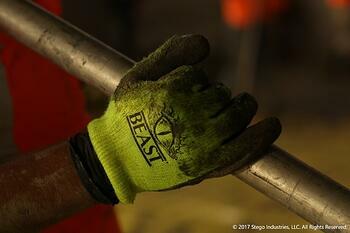 Even in off-post work, where wages are open and margins tighter, Beast is always part of our workflow,” Kyle explained. Beast Screed Adjustable Cap: Adjusts easily to ensure a fixed elevation guide with 2 inches of adjustment and more accurate FL numbers than wet-screeding. 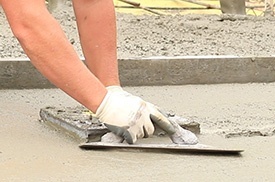 Beast Screed Post: The post includes slab elevation markings and easily-cut kerf lines. Adjustable from 4 inches to 12 inches in depth. Beast Foot: Includes an aggressive engineered peel-and-stick adhesive compatible with Stego Wrap Vapor Barrier. “When there’s not a lot of plumbing and other punctures, a truck can be in and out easily in under 10 minutes. It saves us time and money. GCs say our pours are some of the flattest slabs they’ve seen. There’s no grinding. No fix-ups. Fewer trucks are waiting. Now we just need to figure out a way for Stego to give us some free ones,” Kyle laughs. To learn more about the simple and revolutionary Beast Screed System, contact us to get in touch with the nearest Stego representative. 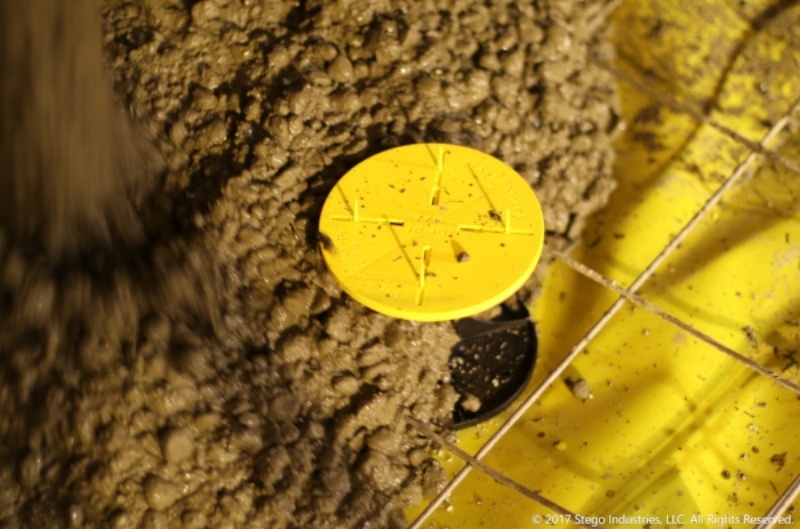 Floating cow patties are a thing of the past when using the Beast Screed System | Image Source: Stego Industries, LLC.